Taking your kids to special places and exciting events is a great way to make lasting memories, teach them cool things, and get to know them a little better. However, keeping track of your kids in crowded and busy places can be tricky. These tips can help you keep your kids safe in a crowd so you can all have fun without extra stress. If your kids are old enough, a simple discussion can go a long way. Prepare your kids for emergencies by talking to them about what they should do if something goes wrong. For example, you can tell them to look for someone in a uniform, call you on their own cellphone, meet at a designated spot, or wait where they are—whatever you think will work best for your family. Some kids are too young to learn about crowd safety. Take a stroller or wagon to keep young children with you in a large crowd so you don’t have to carry them or hold their hand the whole time. 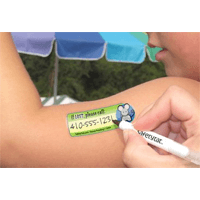 If your children are very young, we suggest using a temporary tattoo or a wristband—put their name, your name, and your contact info on it. If your kids are old enough to remember your number, write it down on a piece of paper and have them put it in a pocket so they have it just in case they get flustered or stressed out. Your phone probably doubles as your camera, GPS, watch, and much more. Using it for so many things can take a toll on a battery—especially when you’re out having an adventure. Keep a portable charger on hand so your phone has the battery power to respond if your kids try to reach you. We also suggest setting it to vibrate and ring so you’re more likely to notice if someone calls or sends a message in a loud, busy place. Your biggest fear about taking your kid to a crowded place might be them getting lost, but that’s not the only danger. Busy, crowded places are also often covered in germs, and it isn’t always easy to find soap and water. 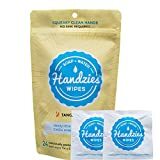 Bring sanitizer or hand wipes and make sure you use them—especially before you eat. It can be hard to balance letting your kids have fun and explore while also keeping track of where they are all the time—especially if you’ve got more than one or two kids in your group. 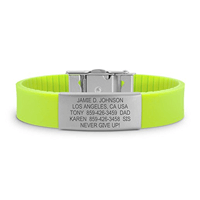 A GPS tracker can make it easier to know where your kids are and ease your mind if they get separated from the group. Bright-colored clothing is easier to spot in a busy crowd. 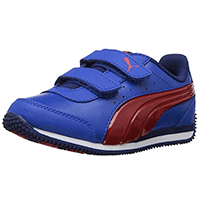 Dressing your kids in vibrant colors can help you keep track of them as they explore. If you’re taking your kids to a firework display, concert, or other large event where it could be loud and dark, the tips above still apply, but there are a few other things you may want to consider. Big events with big crowds can get extremely loud. If you take your kids to a concert or firework show, bring hearing protection to prevent hearing loss and damage. It’s already hard to keep track of kids in a big crowd during the day, but it can be even harder at night and in dimly lighted areas. 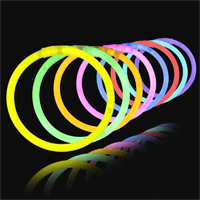 Consider giving your kids glow sticks or light-up shoes so they’re easier to spot in the dark. Water adds an extra safety hazard at crowded public beaches or the pool where it can be hard to keep your kids in view the whole time. 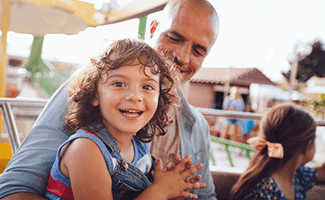 While very young children should still never be out of your sight, these tips can help you keep your older kids safe while giving them freedom to play and have fun. It’s always safer to pick a place with lifeguards on duty because they have a better vantage point to spot problems in the water that you might not notice. Plus, lifeguards have training and equipment that can help keep your kids safer. While you shouldn’t rely on a lifeguard to babysit your kids, you should pick a place where a lifeguard can help watch for issues and take action if anything goes wrong. 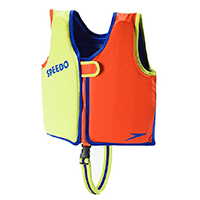 If your kids aren’t strong swimmers, they should wear life jackets or swim vests near the water for extra safety. Just be sure you stay nearby since a vest alone isn’t enough to keep your kids safe in the water. 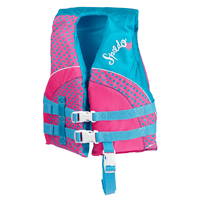 And remember, anytime you or your children are aboard a boat, everyone should be in a life jacket. Taking your kids to crowded places doesn’t have to be stressful or scary. Use the tips above to keep your kids safe while you all have fun together. What do you do to keep your kids safe in crowded places? Share your advice in the comments below!